The Briggs & Riley Medium backpack in leather is a premium business and travel backpack for those who want something stylish yet understated. 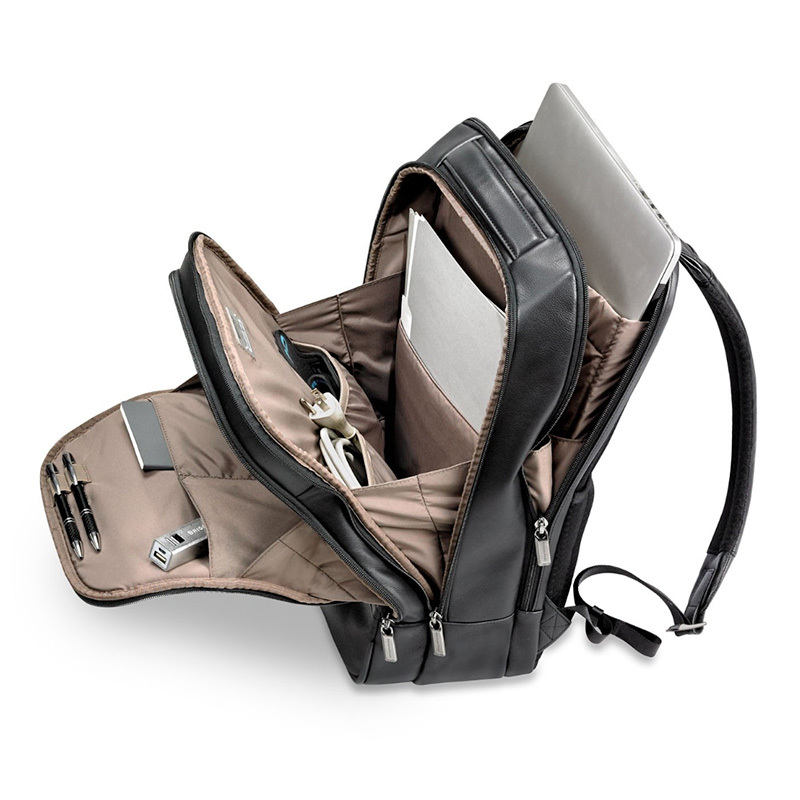 At 20.5 liter capacity, the backpack is just the right size for daily commuter carry or as a personal item on most airlines. The leather and YKK zippers add sophistication to an already sleek design. The Briggs & Riley Medium backpack is also available in non-leather versions made of ballistic nylon. 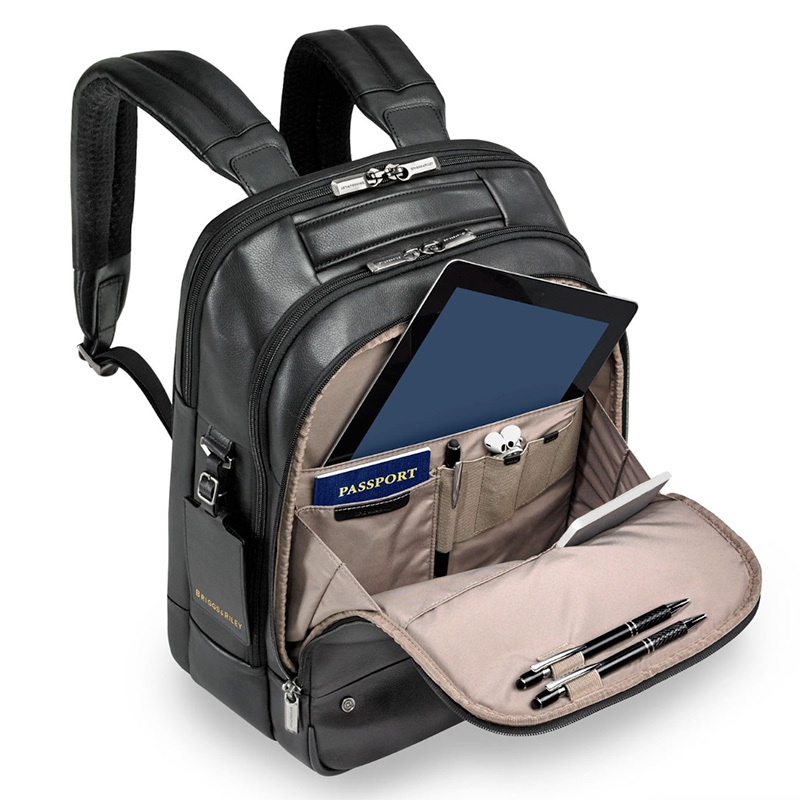 Great business carry options; compartments for laptop and tablet, pockets for files and organizers for smaller items like business cards and pens. High quality leather makes the bag look and feel like a high end backpack. Small enough to be used as a carry-on or airline personal item. Fits underneath airplane seats. 20.5 liter capacity limits what you can hold in the main compartment. Can be tough fitting things like a light jacket or large water bottle when the pockets inside the main compartment are being used.